HealthONE is the largest healthcare system in the metro Denver area with more than 10,000 employees. As part of the HealthONE family, The Medical Center of Aurora, North Suburban Medical Center, Presbyterian/St. Luke’s Medical Center, Rocky Mountain Hospital for Children, Rose Medical Center, Sky Ridge Medical Center, Swedish Medical Center, and Spalding Rehabilitation Hospital work together to provide a higher level of care. In addition, our family of services includes five hospital outpatient provider emergency departments and numerous ambulatory surgery centers, occupational medicine & rehabilitation clinics, physician practices, and AIRLIFE-DENVER, which provides critical care air and ground transportation across a 10-state region. Rocky Mountain Heart Rhythm Institute, part of HealthONE, specializes in treatment of patients who suffer from cardiac arrhythmias. 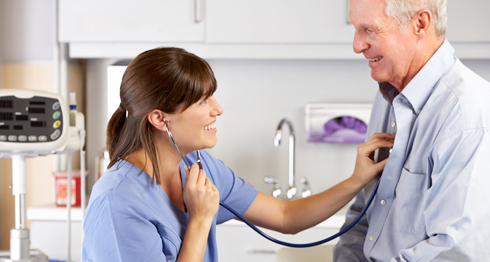 Our expert physicians and healthcare professionals treat irregular heartbeats by providing focused, specialized care ranging from arrhythmia diagnosis and treatment to patient education and support. Call today or fill out the form below to schedule an appointment.